With the above settings it will fetch "All the rows" in batches of 1 ( "As Needed" ). 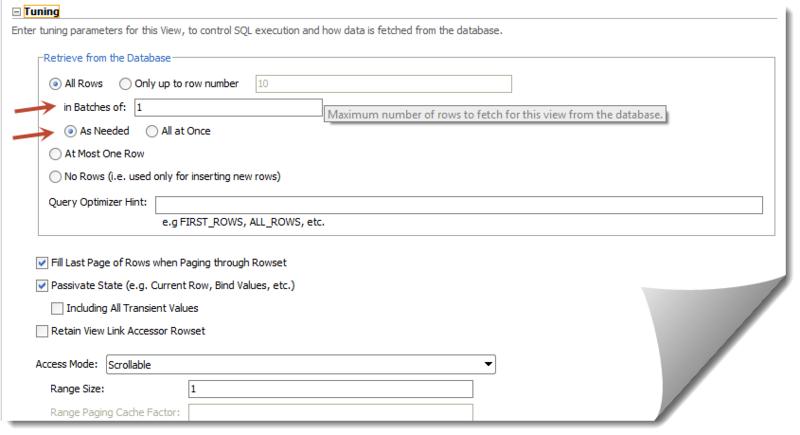 This largely affects the table scrolling as queries gets fired "As Needed" in batches of 1. Note: You might also want to play around with "in batches of" parameter to regulate the number of queries fired.